A Spartan swimmer looks up to see the race results. The results have been good as the Spartans continue to win on the road. Case Western Reserve University’s men and women’s swimming and diving teams fared well at Ohio Northern University this past weekend. Both teams handily defeated Ohio Northern University. 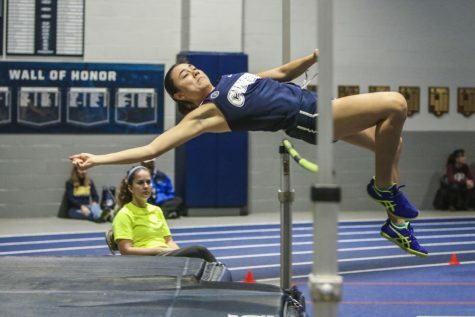 In addition, the women tied a tough Division II team in Hillsdale College. With their record now at 9-1-1, the women have many strong performances to build off of heading into the toughest portion of the season. 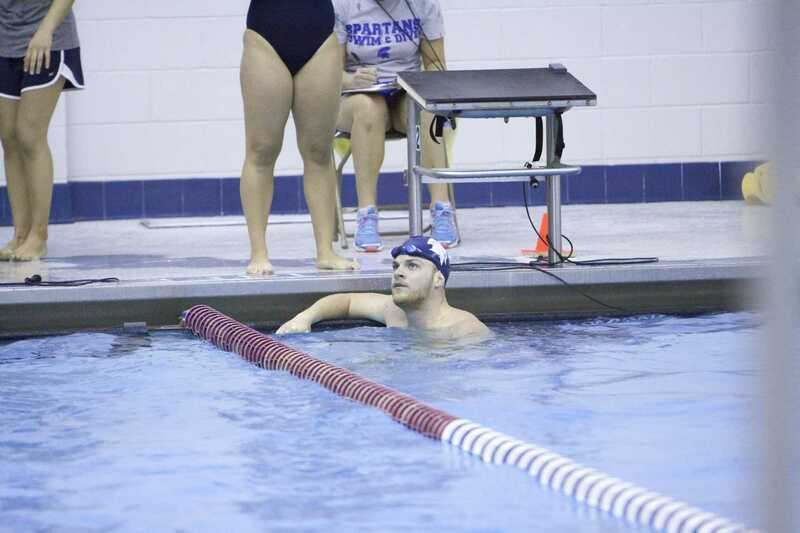 The Spartans took home first place in almost half of the events during the meet against Hillsdale and Ohio Northern. The women particularly performed well in relays, taking first in the 400-yard medley with a time of 4:05.66 and the 400-yard freestyle in a time of 3:42.80. Both relay teams included first-year student Suhan Mestha, fourth-year student Rebecca Pakradooni, second-year student Jennifer Eurich and first-year student Noora Khiraoui. 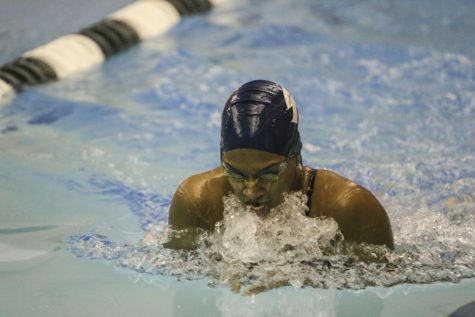 Individually, Mestha led the way with wins in both backstroke events. 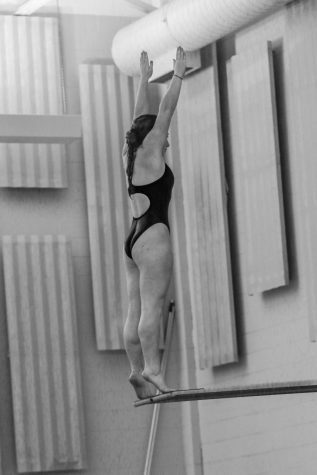 On the diving side of the meet, first-year student Emily Budziszewski claimed first place in both diving events. 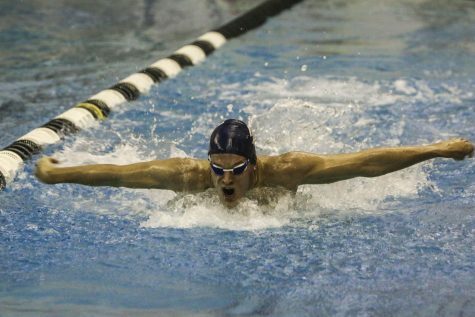 In addition to two relay victories, Pakradooni won the 100-yard butterfly and finished in just over a minute. Budziszewski scored a 183.95 in the one-meter dive and a 168.8 in the three-meter dive. Competing solely against Ohio Northern University, the men took first in 12 of the 16 events Jan. 23 to move their season record to 9-1 and push their win streak to eight. Similar to the women’s team, the men’s team swept the relays with the same group of four in both races. Second-year student Oliver Hudgins and trio of fourth-year students Elliott Kerbel, Alec David and Aaron Tam had times of 3:32.69 and 3:13.16 in the 400-yard medley and freestyle respectively. Tam tacked onto an impressive showing in the relays to finish first in the 200-yard freestyle and 500-yard freestyle. 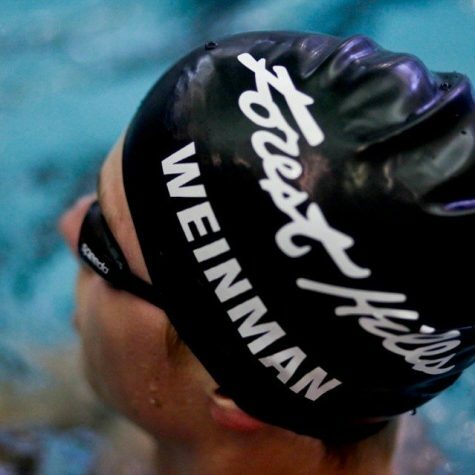 Hudgins also added two first place finishes, sweeping the backstroke events. Collectively the two took part in eight of the men’s 12 first place finishes. The Spartans compete at home Jan. 30 against Baldwin Wallace University in the Senior Day meet. Speaking of the next meet, Milliken said, “This is the last opportunity the seniors will have to compete in front of their home crowd, so it’s important to me we send them off right.” The teams will look to carry momentum into their last meet prior to the postseason.